Ready to Vote? Better Ensure Your Details in the list before Polling. Here's how? Ready to Vote? Better Ensure Your Details in the list before Polling. Here’s how? With general elections approaching, politicians and parties are in full swing of publicity and making up everyone’s mind to lean towards them. You may have already decided to whom your vote goes to, but have you checked yourself being included in the electoral list yet? The inclusion of your name and details in the electoral list is crucial, as BLO (Booth Level Officer) will authenticate you before letting into the Polling Booth. In recent years, the Government has made it easy for the public to cast their vote by moving the hectic process to online (mostly). 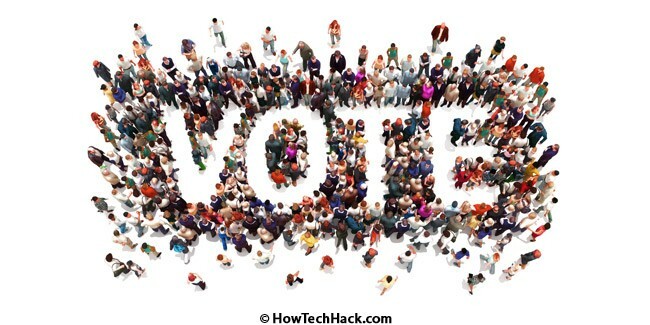 Right from your registering to check and voting to confirm, you’ll be seen many electronics performing the works to make the process effective and fast. If you’re a fresh Voter or have already voted previously, you’ll be given an EPIC number. Through which, you can check your name inclusion in the list of https://electoralsearch.in or, if you haven’t registered even being eligible, I’m sorry you can’t register now as the process is closed. What if your name isn’t in the list? You gotta fill the Form 7 (objection form) to be considered or call the helpline to guide you in doing so. As everyone’s in a rush for ensuring their details in the list, the website may go offline/dead sometimes. But keep refreshing (not often) to see it live and then check. ALSO READ: After PUBG, TikTok is in the line for banishment! Besides these, the main site https://www.nvsp.in is a one-stop for all voting services. Do check this for verification, acknowledging your polling stations, officers allotted and their contacts. That’s it. Be rational and bold in making choices. Cast your vote to the one who shapes your future as incredible. Previous articleAfter PUBG, TikTok is in the line for banishment! Next articleGet Swiggy SUPER for just Re.1 through Times Prime!